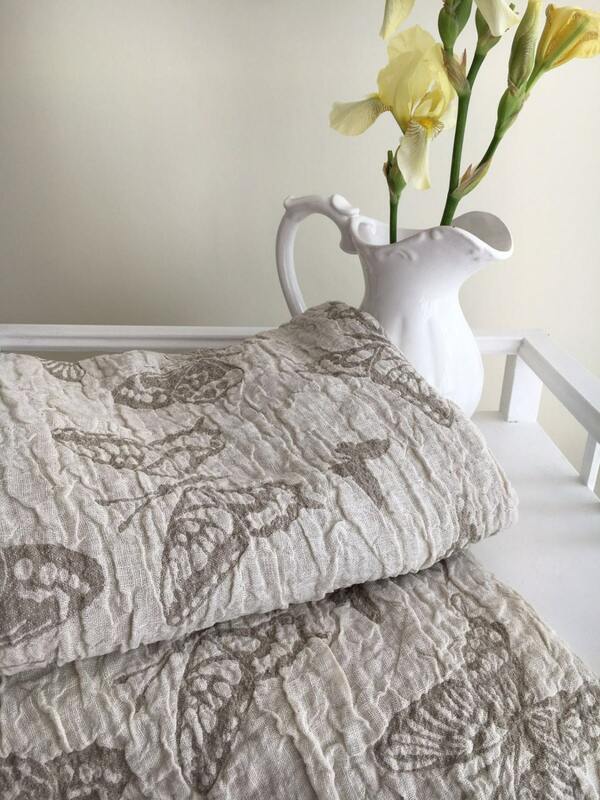 Linen bath towel made from a luxurious double sided linen with lovely woven butterfly pattern. Thick and soft for linen it is going to be your next favourite towel to snug into after your bath or shower. A real natural touch to your skin - it will feel clean, vigorous and and wide awake after every use. 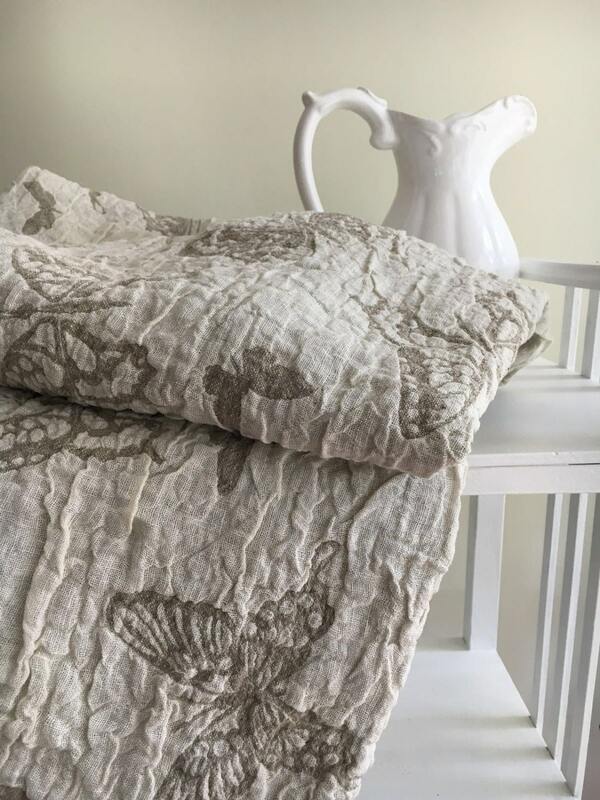 Even though linen is not your typical choice for bath towels, this natural linen towel will soak up the water from your skin much faster and also dry faster. It will also make a great beach towel. 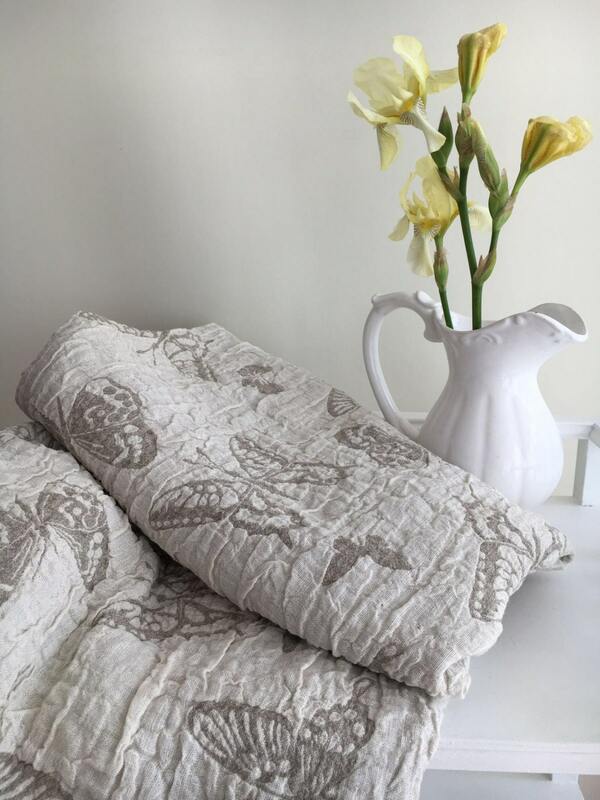 Linen is known for its antiallergenic and antiseptic qualities. 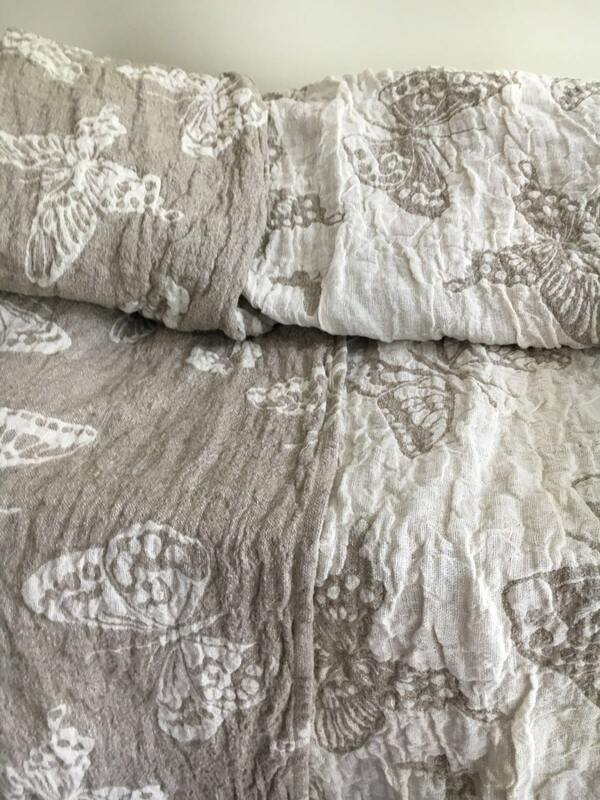 Even more, we love the decorative looks of it - darker on one side, lighter on the other, with romantic woven butterflies. Adorable gift to your mom, sister or wife. This linen bath towel has been made from 100% pure stonewashed European linen, and the fabric has the leading OEK TEK 100 certification for no harmful substances (Confidence in Textiles). Note for the first time linen bath towel users- linen towels can be an acquired taste. Note that they are not as soft or fluffy as cotton or synthetic towels. It is for the crisp touch, natural quality and greater absorbency that people fall in love with them.